Go birdwatching with a Birdingpal from New Mexico. I am an enthusiastic birder, but should probably be rated as an intermediate+ birder. 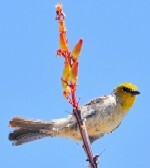 I'd be happy to help any visiting birder wishing to see central New Mexico. Short drive to three species of wintering Rosy Finches plus short drive to Bosque del Apache NWR. Spring/summer desert and southwestern mountain species near Albuquerque. I am an enthusiast, not an expert. I do work full-time, but as I am self-employed I can be available during the week with some exceptions. I am familiar with the Sandia Crest Rosy-Finch viewing area, Bosque del Apache NWR, Bernardo Wildlife Management Area and other local areas. I do have quarters available to rent to visiting birders. I became hooked on birding when I took an Ornithology course in college while pursuing my degree in Ecology at the University of Arizona-Tucson- 22 years ago. Since then, I've worked as a field biologist, naturalist, wilderness guide, and environmental educator at several National Parks and Monuments throughout the Southwest and Four Corners region. 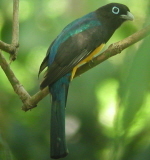 My love of birding has also taken me to Kenya, Europe, India, Korea, Mexico, Peru, and Guatemala. Currently, I live in Albuquerque and lead guided bird walks, specializing in birding by ear, at the Rio Grande Nature Center State Park, Valle de Oro National Wildlife Refuge, and the Randall Davey Audubon Center. I am an avid eBirder and volunteer for the Central NM Audubon Society, and sit on the Board of Directors as the Field Trip Chairperson. Nature: birdwatching, hiking, camping, backpacking. Guided tours of National Parks, Monuments and historic ruin sites in the Southwest. I have been an ornithologist and birder for the past 20 years, and I also enjoy wildlife photography. The eastern plains offer some excellent locations for birding including Bitter Lakes National Wildlife Refuge, Rattlesnake Springs, and the Melrose trap. Lesser prairie chickens are also found in the area and I would be happy to take people to view them. 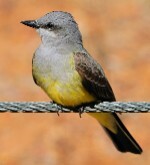 The Santa Fe area has many birds that are found only in this area. At time we have even seen the State Bird, the Roadrunner, running across roads to roost. We often see Ladder-backed Woodpeckers at our backyard feeders. Mountain Blue Jays, Bluebirds and numerous Bushtits, Wrens, Finches, and Hummingbirds in the late Spring thru late Fall. I am retired and we live adjacent to a "Green Space" with numerous birds near our home. I am owner chief guide for my business- Wild Rover Tours of New Mexico. I started birding with Dave Cleary from Maxwell Rfg in 2001. I take full or 1/2 day birding trips near Angel Fire Taos and at the Wild Rivers Recreation Area. Tours are for Adults and kids 13+. Fees: $75 for the 1/2 day and $110 full day with lunch inclusive.